Marcel is a dashing French bulldog in a striped sweater who loves everything about his home in NYC -- except for uptown, that is. His favorite place to go for a walk is downtown. So when his person meets a new love interest from uptown, Marcel is not happy that this new man has invaded his life... and might even send him away from the city he loves. 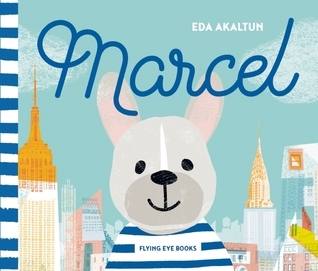 Adorable story with charming illustrations. I could not stop smiling throughout the entire book. The ending sets itself up nicely for a sequel.